Homepage / Garden and terrace / Outdoor plants, ideas for a dream garden! Finding outdoor plants that tolerate climate change can sometimes be somewhat complicated. It also happens in the cases that we decided to give a new air to our garden with plants that tolerate the shade. These outdoor plants are usually very resistant given their low dependence on sunlight. They are ideally suited for shade areas under larger trees. They may be able to cover spaces in which we have lost vegetation by different causes. Outdoor plants offer many possibilities for decor. We can plant them directly on the ground as in the cases mentioned above, to repopulate areas or in pots. This latest variant is perfect for more risky and modern designs. The Wall In the background where we hang our pot is very important as well. A vivid and contrasting color will enhance the whole set remarkably. The type of pot also counts, if we have outdoor plants in rustic pots we must put other accessories depending on this trend. That way we will achieve uniformity, although everything depends on the personal taste and the space with which we count. One of the most resistant outdoor plants is the so-called snake plant. It is suitable to add a little height. It is a very popular option today because they add a modern touch to each home. We can have it in areas of low light or under the sun, always avoiding extreme temperatures. It is also suitable as an indoor plant, but there is no doubt that we can enjoy it outdoors. It is ideal for pots and containers in the exterior of the house as shown in the following design Life outside . Another of the outdoor plants that we must mention are the ferns. These plants are very popular for the pots that we put hanging habitually. They give an exuberant global image to the spaces that inhabit and make them much more exotic. As in the previous case they develop in low light situations, but also need moisture. We must provide them with plenty of water, but be careful not to over water them. 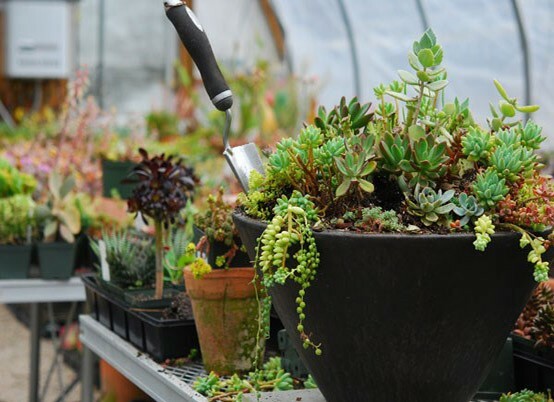 The list of outdoor plants can be huge we could add the succulents, and many more. The important thing is to insert them in a functional way, choose the ones you like and create your dream patio! Previous post Plants, a touch more than tropical for your garden.